Montane ecosystems in the southern Peruvian Andes were atmospheric sources of the greenhouse gas nitrous oxide, exceeding prior emissions estimates from bottom-up process models. Nitrous oxide flux originated primarily from nitrate reduction. Nitrous oxide fluxes showed an inverse trend with elevation, and only weak evidence of seasonal variability. Nitrous oxide fluxes were influenced by the availability of nitrate and soil moisture content, but were not predicted by inputs of labile carbon. Agricultural intensification has contributed to sustained Chinese food supply since 1980s and also influenced soil organic carbon (SOC) stock. The study, conducted in Huantai county - a typical intensive farming region in northern China, found that from 1982 to 2011, farmland SOC stock (0-20cm) of the entire county increased by 59% which can be well explained by the increasing crop residues input. More technologies must be developed for enhancement of SOC and reduction of non-CO2 GHG emissions. In this study we evaluated CO2 emissions during composting of green wastes with clay and/or biochar in the presence and absence of worms, as well as the effect of those amendments on carbon mineralization after application to soil. Our results indicated that the addition of clay or clay–biochar mixture reduced carbon mineralization during co-composting without worms by up to 44 %. In the presence of worms, CO2 emissions during composting increased for all treatments except for the low clay dose. Australian Government: Carbon Farming Initiative, Clean Energy Regulator, available at: http://www.cleanenergyregulator.gov.au/Carbon-Farming-Initiative (last access: 9 April 2014), 2014. Baumol, W. and Oates, W.: The Theory of Environmental Policy, Cambridge University Press, 1988. Carbon Brief: The state of carbon pricing: Around the world in 46 carbon markets, available at: http://www.carbonbrief.org/blog/2014/05/the-state-of-carbon-pricing-around-the-world-in-46-carbon-markets/, last access: 29 May 2014. Cardina, J., Herms, C. P., and Doohan, D. J.: Crop rotation and tillage system effects on weed seedbanks, Weed Sci., 50, 448–460, 2002. Carlton, R., Berry, P., and Smith, P.: Impact of crop yield reduction on GHG emissions from compensatory cultivation of pasture and forested land, Int. J. Agric. Sustain., 8, 164–175, 2010. Conant, R. T., Paustian, K., and Elliott, E. T.: Grassland management and converstion into grassland: Effects on soil carbon, Ecol. Appl., 11, 343–355, 2001. DECC: Carbon Valuation in UK Policy Appraisal: A Revised Approach. Department of Energy and Climate Change, London, UK, available at: https://www.gov.uk/government/uploads/system/uploads/attachment_data/file/245334/1_20090715105804_e____carbonvaluationinukpolicyappraisal.pdf (last access: October 2014), 2009. Denef, K., Archibeque, S., and Paustian, K.: Greenhouse gas emissions from U.S. agriculture and forestry: A review of emission sources, controlling factors, and mitigation potential. Interim report to USDA under Contract #GS23F8182H, available at: http://www.usda.gov/oce/climate_change/techguide/Denef_et_al_2011_Review_of_reviews_v1.0.pdf (last access: October 2014), 2011. De Pinto, A., Magalhaes, M., and Ringler, C.: Potential of Carbon Markets for Small Farmers A Literature Review IFPRI, Washington DC Discussion Paper 01004, http://www.ifpri.org/sites/default/files/publications/ifpridp01004.pdf (last access: 9 April 2014), 2010. Eagle, A., Olander, L., Henry, L. R., Haugen-Kozyra, K., Millar, N., and Robertson, G. P.: Greenhouse Gas Mitigation Potential of Agricultural Land Management in the United States: A Synthesis of the Literature. Report NIR 10-04, Third Edition, Durham, NC: Nicholas Institute for Environmental Policy Solutions, Duke University, 2012. EPA: The Social Cost of Carbon. United States Environmental Protection Agency, Washington, DC, USA, available at: http://www.epa.gov/climatechange/EPAactivities/economics/scc.html (last access: October 2014), 2014. Franzluebbers, A. J.: Achieving soil organic carbon sequestration with conservation agricultural systems in the southeastern United States, Soil Sci. Soc. Am. J., 74, 347–357, 2010. Houghton, R. A.: The annual net flux of carbon to the atmosphere from changes in land use 1850 to 1990, Tellus, 50B, 298–313, 1999. Houghton, R. A., Hackler, J. L., and Lawrence, K. T.: The US carbon budget: contributions form land-use change, Science, 285, 574–578, 1999. IPCC: Climate Change 1995. The second assessment report, Cambridge University Press, Cambridge, UK, 1996. IPCC: Special Report on Land Use, Land Use Change, and Forestry, Cambridge University Press, Cambridge, UK, 2000. Lal, R.: Soil management and restoration for C sequestration to mitigate the accelerated greenhouse effect, Progress in Environmental Science, 1, 307–326, 1999. Lal, R.: Soil carbon sequestration impacts on global climate change and food security, Science, 304, 1623–1627, 2004. Metting, F. B., Smith, J. L., and Amthor, J. S.: Science needs and new technology for soil carbon sequestration, in: Carbon sequestration in soils: Science, monitoring and beyond, edited by: Rosenberg, N. J., Izaurralde, R. C., and Malone, E. L., Battelle Press, Columbus, Ohio, 1–34, 1999. Moran, D., Lucas, A., and Barnes, A.: Mitigation win-win, Nature Climate Change, 3, 611–613, https://doi.org/10.1038/nclimate1922, 2013. OECD: Guidelines for Cost-effective Agri-environmental Policy Measures, OECD Paris, 2010. Ogle, S. M., Breidt, F. J., and Paustian, K.: Agricultural management impacts on soil organic carbon storage under moist and dry climatic conditions of temperate and tropical regions, Biogeochemistry, 72, 87–121, 2005. Parry, I. and Pizer, W.: Emissions Trading versus CO2 Taxes, Resource For the Future, https://ethree.com/downloads/Climate Change Readings/GHG Emissions Trading/RFF-BCK-TradingvsTaxes.pdf (last access: 9 April 2015), 2007. Paustian, K.: Soil: Carbon Sequestration in Agricultural Systems, in: Encyclopedia of Agriculture and Food Systems, edited by: Neal Van Alfen, editor-in-chief, San Diego, Elsevier, 5, 140–152, 2014. 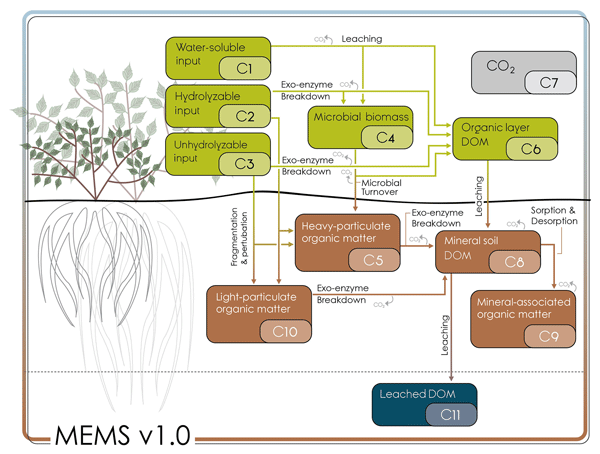 Paustian, K., Andrén, O., Janzen, H. H., Lal, R., Smith, P., Tian, G., Tiessen, H., van Noordwijk, M., and Woomer, P. L.: Agricultural soils as a sink to mitigate CO2 emissions, Soil Use Manage., 13, 229–244, 1997. Pellerin, S., Bamière, L. (coord. ), Angers, D., Béline, F., Benoît, M., Butault, J.-P., Chenu, C., Colnenne-David, C., De Cara, S., Delame, N., Doreau, M., Dupraz, P., Faverdin, P., Garcia-Launay, F., Hassouna, M., Hénault, C., Jeuffroy, M.-H., Klumpp, K., Metay, A., Moran, D., Recous, S., Samson, E., Savini, I., and Pardon, L.: Quelle contribution de l'agriculture française à la réduction des émissions de gaz à effet de serre ? Potentiel d'atténuation et co\^ut de dix actions techniques`, INRA, Direction de l'expertise, de la prospective et des études (DEPE), Paris, France, 94 pp., http://institut.inra.fr/Missions/Eclairer-les-decisions/Etudes/Toutes-les-actualites/Etude-Reduction-des-GES-en-agriculture, 2013. Rasse, D. P., Rumpel, C., and Dignac, M.-F.: Is soil carbon mostly root carbon? 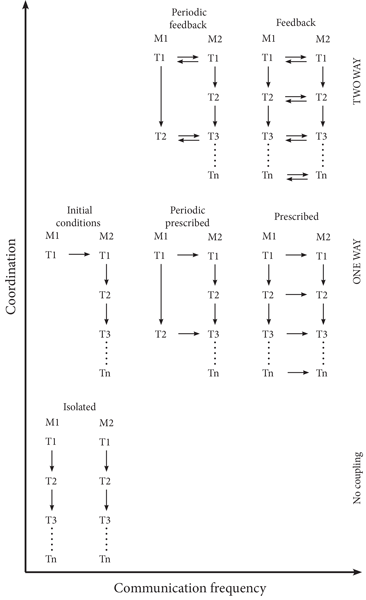 Mechanisms for a specific stabilisation, Plant Soil, 269, 341–356, 2005. Schimel, D. S.: Terrestrial ecosystems and the carbon-cycle, Glob. Change Biol., 1, 77–91, 1995. Six, J., Elliott, E. T., and Paustian, K.: Soil macroaggregate turnover and microaggregate formation: A mechanism for C sequestration under no-tillage agriculture, Soil Biol. Biochem., 32, 2099–2103, 2000. Smith, P.: An overview of the permanence of soil organic carbon stocks: influence of direct human-induced, indirect and natural effects, Eur. J. Soil Sci., 56, 673–680, 2005. Smith, P.: Do agricultural and forestry carbon offset schemes encourage sustainable climate solutions?, Int. J. Agric. Sustain., 6, 169–170, 2008. Smith, P.: Soils and climate change, Current Opinion in Environmental Sustainability, 4, 539–544, https://doi.org/10.1016/j.cosust.2012.06.005, 2012. Smith, P., Martino, D., Cai, Z., Gwary, D., Janzen, H. H., Kumar, P., McCarl, B., Ogle, S., O'Mara, F., Rice, C., Scholes, R. J., Sirotenko, O., Howden, M., McAllister, T., Pan, G., Romanenkov, V., Schneider, U., Towprayoon, S., Wattenbach, M., and Smith, J. U.: Greenhouse gas mitigation in agriculture, Philos. T. R. Soc. B, 363, 789–813, https://doi.org/10.1098/rstb.2007.2184, 2008. Stern, N.: The Economics of Climate Change Cabinet Office – HM Treasury, published by Cambridge University Press, UK, 2007.